Hmmmm. Well, well look what I found on Wikipedia. Operation Rescue – the group that pro-choicers love to hate and everybody else seems to deny knowing. A fun read, if you’re wondering how much credit to give these guys. But enough about them. This post is about Beaumont. (wait! stay with me.) Nestled in the heart of the more or less conservative Texas city bordering Louisiana, you’ll find an abortion clinic – the only one in town. I’ve seen WOMEN – every type, in all kinds of situations – making the choice to have an abortion, each with their own list of reasons why. I saw these same types of women in Beaumont. I know that regardless of the location, every type of woman uses our services. Beaumont had the same friendly staff and same WWH atmosphere at the clinic that I first found in Austin (at my first annual ever as a Freshman in college, no less.) Of course we were greeted by protestors, but what’s new? 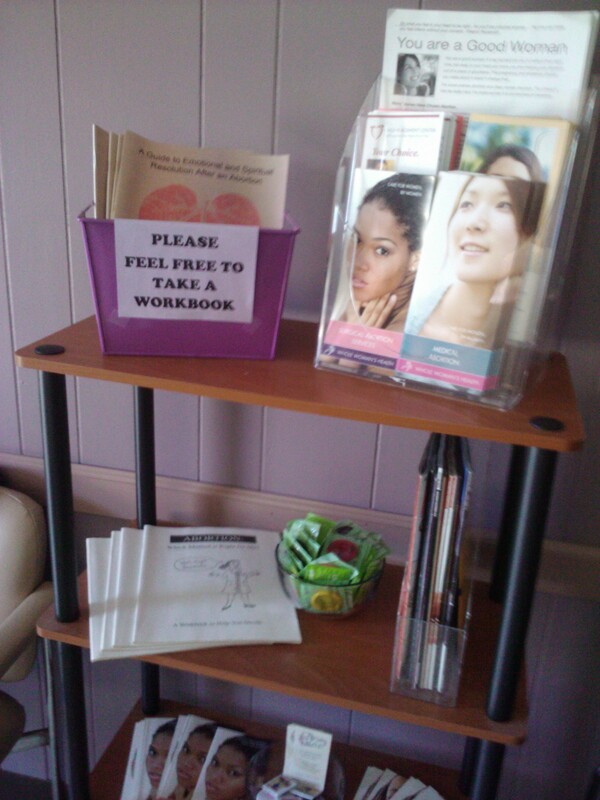 One of our new display cases, with condoms, post-abortion healing workbooks and brochures. 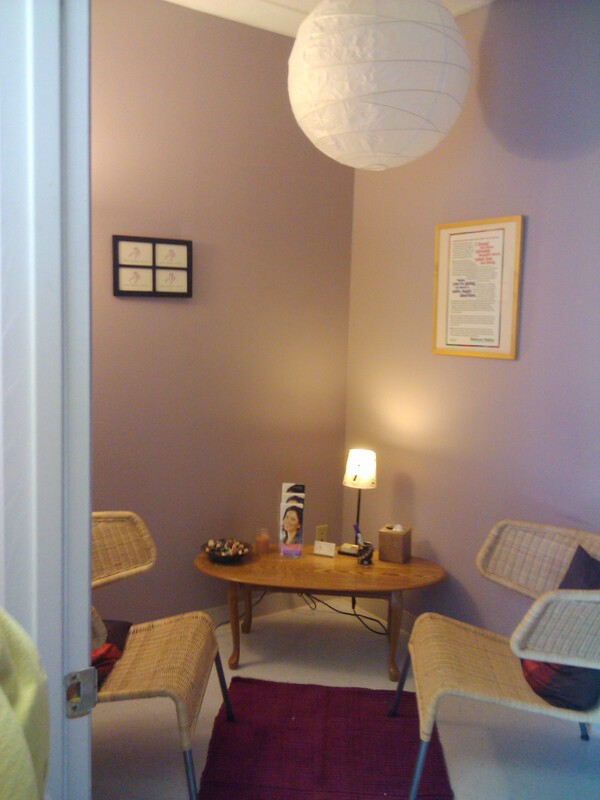 One of our cozy counseling rooms. 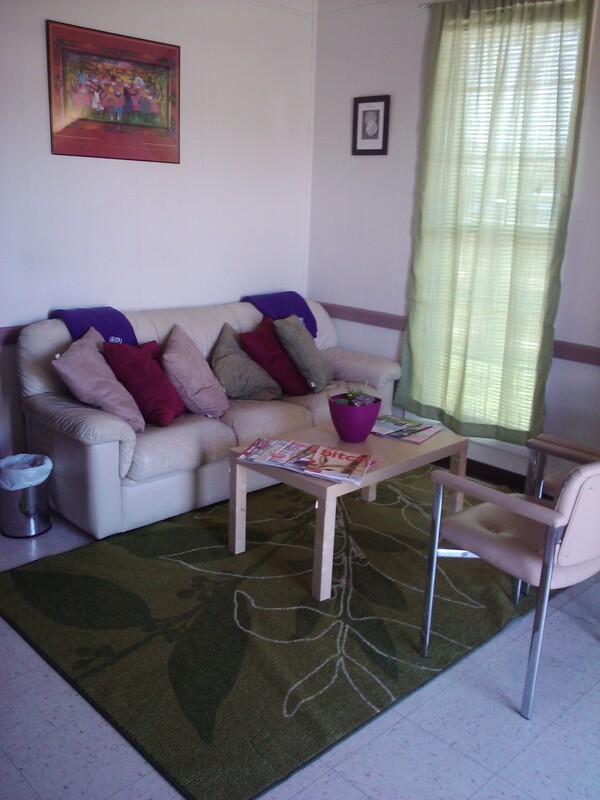 One of our comfy waiting areas. Our memorial to the late Dr. George Tiller, put up for our patients to read. 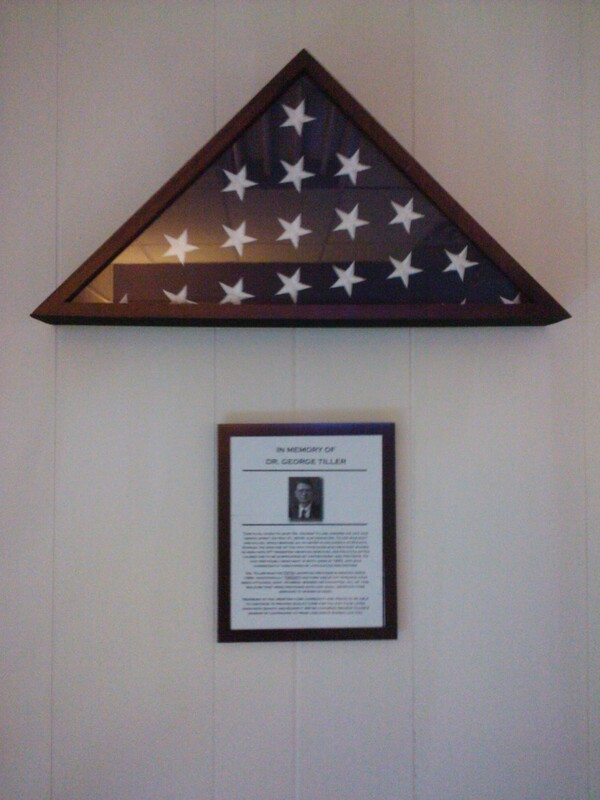 This flag was given to us by Dr. Tiller, and the write-up is a tribute to his life’s work. 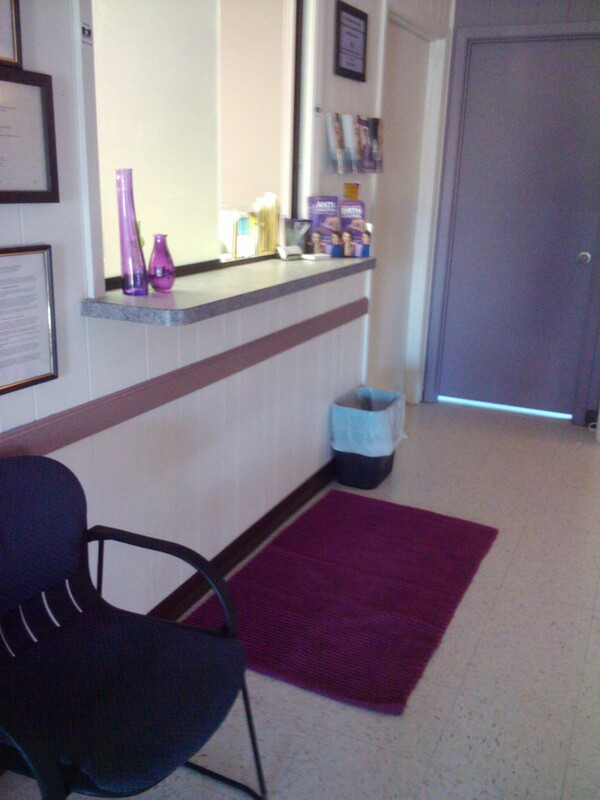 In short, I found our Beaumont clinic to be a beautiful place, true to the WWH standard. I gathered some words from the staff, and I’ll be posting those up soon! Stay tuned!